Ever since I stumbled on the Holstee Manifesto, it has been my beacon for when I’m lost, or for when I lose sight of my real dreams. What’s so striking about it is that it speaks of things that you already know true, but also things which you just need help being reminded of every now and then. 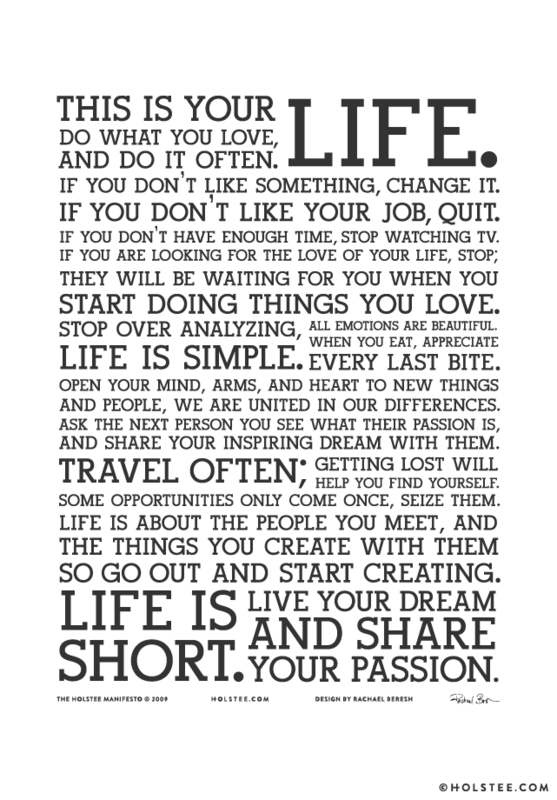 If you want to learn more about the story behind the Holstee Manifesto, or if you want to download your own Holstee wallpaper (like the one below), you can check out their site at www.holstee.com.